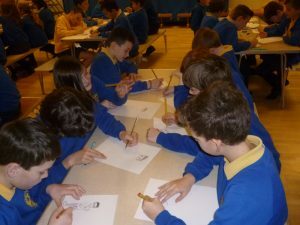 In Mrs Saeed’s class, John Dougherty worked with the children and encouraged them to use all their senses to describe what might happen in their chapter, which is set in the early 21st Century. They were buzzing with inspiration! This week the staff got together to finalise details of the project before we all begin to get writing straight after half term. Ideas began to flow, historical sources were discussed and questions were answered. We’ve decided to give the project a working title of “A Portal in Time”…much more interesting than “The Book Project”! We were lucky to be joined by our Patron of Reading, John Dougherty, who said he was thrilled to be involved in such a unique and exciting project. Meanwhile, don’t forget to support Coralie at the second-hand book sale tomorrow morning under the Market House. The BBC hear about our project…. …and here’s the film report which BBC Points West made when they visited the school in July of this year. 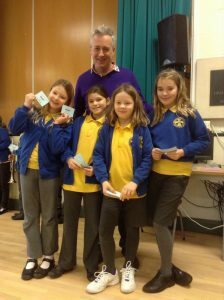 They filmed a group of pupils in the library with John Dougherty, talking about our book project and reading in general. 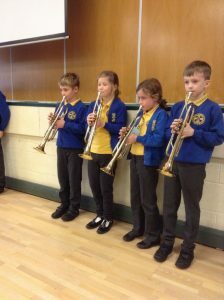 It was a great morning and the pupils certainly did Minchinhampton Academy proud! 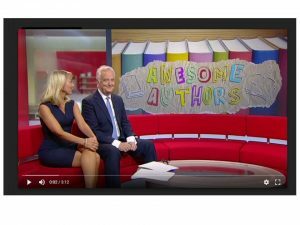 Author Mrs HodgesPosted on 24th September 2016 30th September 2016 Tags BBC, Book Project, John Dougherty, ReadingLeave a comment on The BBC hear about our project…. 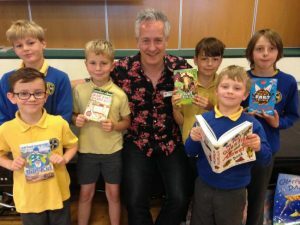 The Stroud News and Journal attended our school assembly to launch the book project last July. 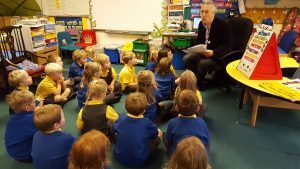 During this assembly, John Dougherty, our Patron of Reading, read the opening chapter to the pupils to their delight and intrigue, inviting them to write the rest of the book themselves! 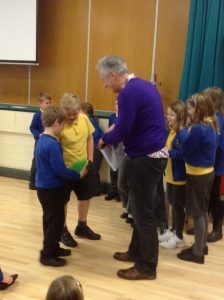 He was also able to announce the winners of the competition to name the main characters in the book. You can find their article here. Welcome to our exciting new Book Project! Q: What does a vampire, a pig, a motorbike, four children and some time portals have in common? 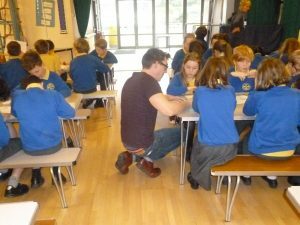 A: They are the key ingredients to an exciting book project which all of our pupils are writing collaboratively, alongside our Patron of Reading and reknowned children’s Author, John Dougherty. 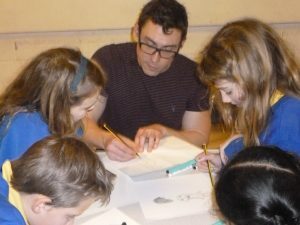 This project aims to give our pupils the chance to be both authors and illustrators of a published book. The project is kindly being funded & supported by many people, including fantastic financial support from the Corinium Fine Arts Society and their head office, NADFAS. Watch this space for updates and news on the project! Author Mrs HodgesPosted on 24th September 2016 24th September 2016 Tags Art Exhibition, Book Project, John DoughertyLeave a comment on Welcome to our exciting new Book Project!